I love a good drink and I recently tried something I’d never had before but has been a staple of golf clubs for years . 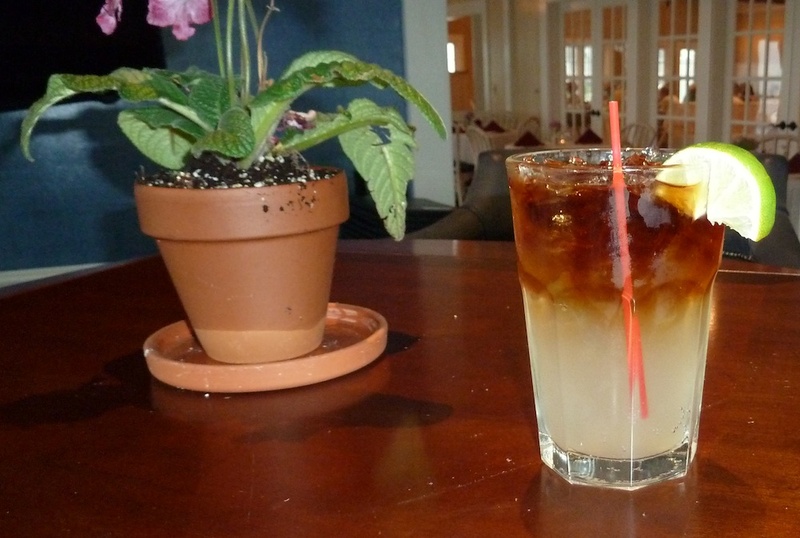 . . the Dark and Stormy. During a recent game at Kittansett Club near Boston, one of my playing partners asked if there was a club drink when we hit the halfway house after the 9th hole. Without hesitation the server informed us that it was the Dark and Stormy, so of course that’s what we ordered. After a dismal front nine I started playing great on the back nine as I sipped on this magic potion. Apparently it not only tastes great, but it works wonders on your golf game! I suppose the reason I’d never had one of these before is because I’m usually not a big rum drinker or a ginger beer drinker, but the combination of the two ingredients is simply delightful. Below is what you need to to make these for yourself. The lime juice is optional, but I think it adds something and recommend using it. Fill a glass with ice. If using lime, squeeze a slice over the ice. Add the ginger beer. Add the Gosling’s rum and place a slice of lime on the rim of the glass for a garnish. Two days after my Dark and Stormy indoctrination I attended a 40th birthday party of a friend at his family’s beach house. When I walked up to the bar to get a drink the bartender suggested a Dark and Stormy . . . oh sure, why not!! Over the course of the next four hours I participated in an intense immersion study of this drink. The conclusion . . . I’m a huge fan. This entry was posted in The Grill Room. Bookmark the permalink.